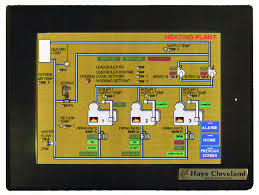 Thermal Tech, Inc. carries Boiler Room Controls by Hays Cleveland. For over 100 years, Hays Cleveland Combustion Controls, Instruments & Systems have provided enduring quality and value for the money spent! The Eagle 5™ provides a central monitoring and supervisory control panel that integrates Hays Cleveland’s boiler combustion control and instrumentation in single and multiple boiler steam and hot water plants. The central control panel provides supervisory control and monitoring to fully optimize the control system to reduce energy and maintenance costs, and to improve safety by identifying faults and alarms. Hays Cleveland’s many decades of experience with SCADA systems led to the development of the Eagle 5™. The Eagle 5™ provides an economical approach for facility supervision and for communications. 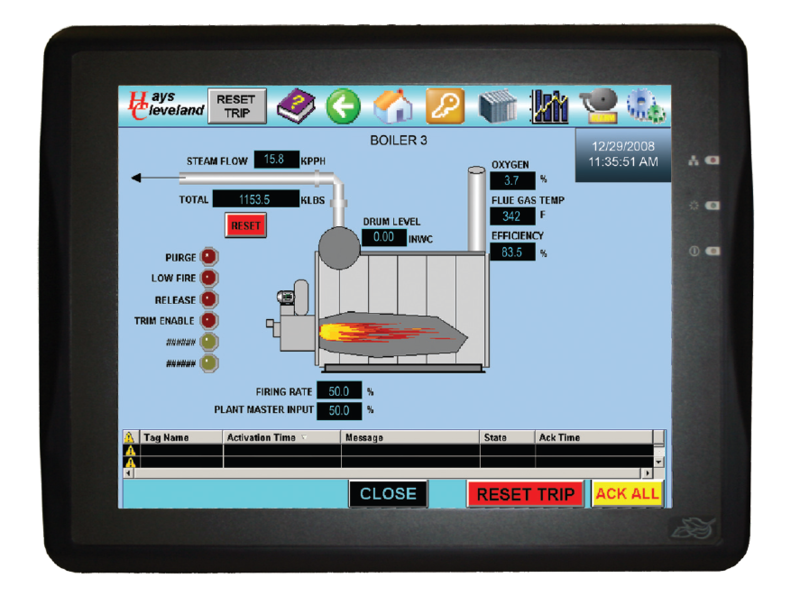 The Eagle 5™ Boiler Facility Manager reports, displays, and reduces operating and maintenance costs. Complete Boiler Plant Control, Monitoring & Communications! PAC (programmable automation controller) platforms offer the expansion and control capability of PLC’s, the PID performance of multiple loop controllers, and the communication options of DCS. Initial investment and maintenance costs are low. The new Hays Cleveland UPAC™ package provides complete facility control, monitoring and communications with the accuracy, speed and advanced capabilities expected in high-end PLC and PC automation products–at a much lower than expected investment! With UPAC™, boiler plant operations and other facility operations are fully integrated in one platform. UPAC™’s modular approach provides almost unlimited capability. Components include a touch screen, control unit and modules for analog and digital I/O. 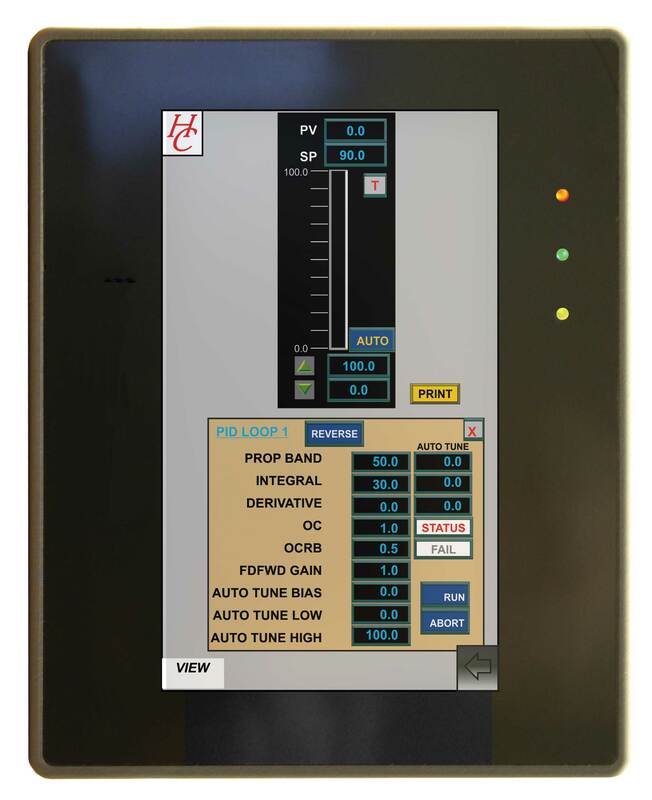 MULTIPLE LOOP-ADVANCED CONTROL-PROGRAMMABLE AUTOMATION CONTROLLER with TOUCH SCREEN! Hays Cleveland is proud to introduce the AC-PAC™, our hightech, low-cost, single solution for projects ranging from complete new systems to individual controller replacements. AC-PAC™ offers powerful PAC technology and an HMI capable of replacing any other loop controller technology in any typical application--but at an unexpectedly economical price point. Micro IV™, a fourth generation lead lag sequencer with modern control features designed to provide efficient operation for today’s boiler plants that generally use more and smaller boilers than the plants of the past. The Micro IV™ provides the rate and desired pressure or temperature to meet changing facility demands not achievable with individual boiler controls. Maintains facility main header temperature or pressure for efficient production and heating: eliminates variable energy supply and meets demand! 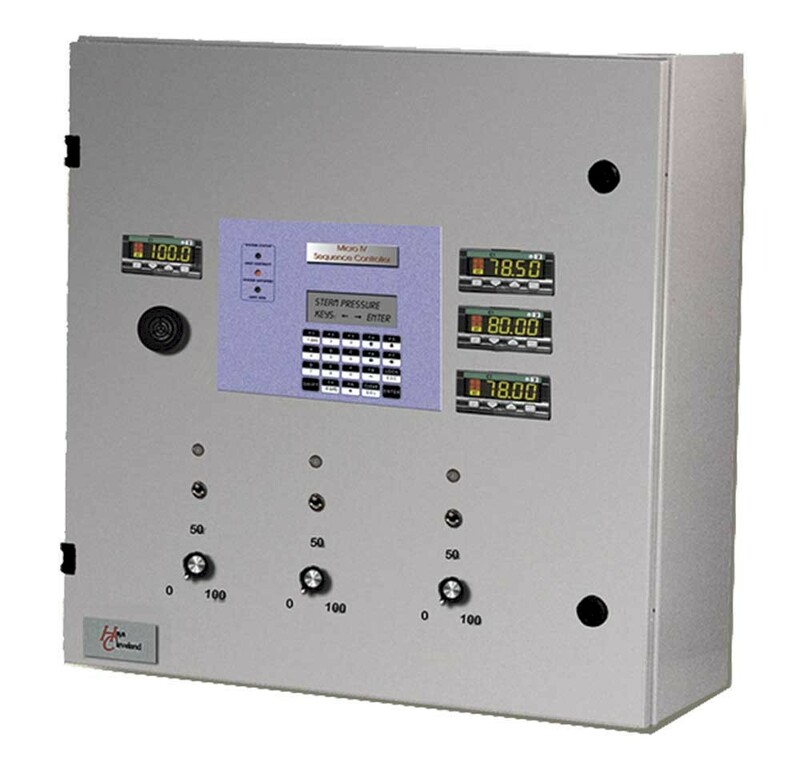 Universal applications: controls any model burner or boiler. Sequencing with modulation for 2 to 12 steam or hot water boilers and auxiliary boiler plant equipment. Time-based main header temperature or pressure control: fully factory-configured before shipment. Fully Automatic control & burner interface. 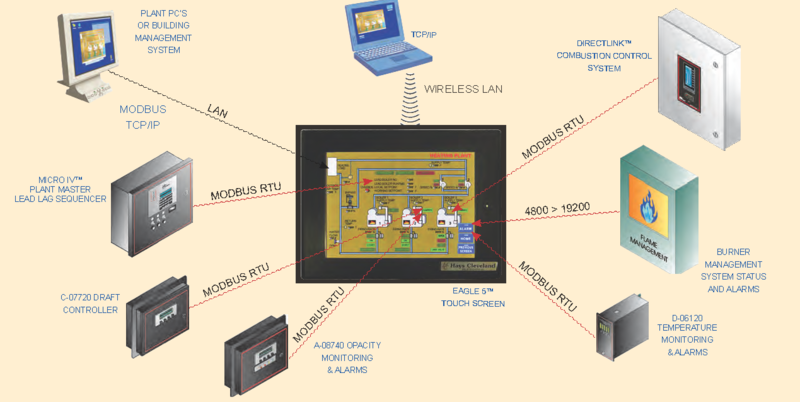 Building Management (EMS) interface with ASCII-II and RS-485 Modbus ports for remote control, data acquisition and SCADA systems. Bright Vacuum Fluorescent Display: 2 easy-to-read lines using engineering units. Real-time data acquisition including efficiency, boiler ON times, pressures and temperatures. Industrial heavy-duty enclosure: cabinet has easy access for field wiring. Front panel operator interfaces include boiler ON lights, engineering unit displays of all boiler combustion functions, manual/auto/off switches, dedicated display of header temperature or pressure, and auxiliary manual/auto stations. entry); automatic rotation on a weekly basis; automatic rotation based on lead-boiler run time; or remote select with Modbus or switched inputs. point reduction during lighter load periods. Packaged systems ready for installation! Include engineering services for submittals, wiring schematics, and field sensors. Micro IV™ is not limited to boiler control: it can be factory-configured for tank level, air-compressor loading, or air dryer control. 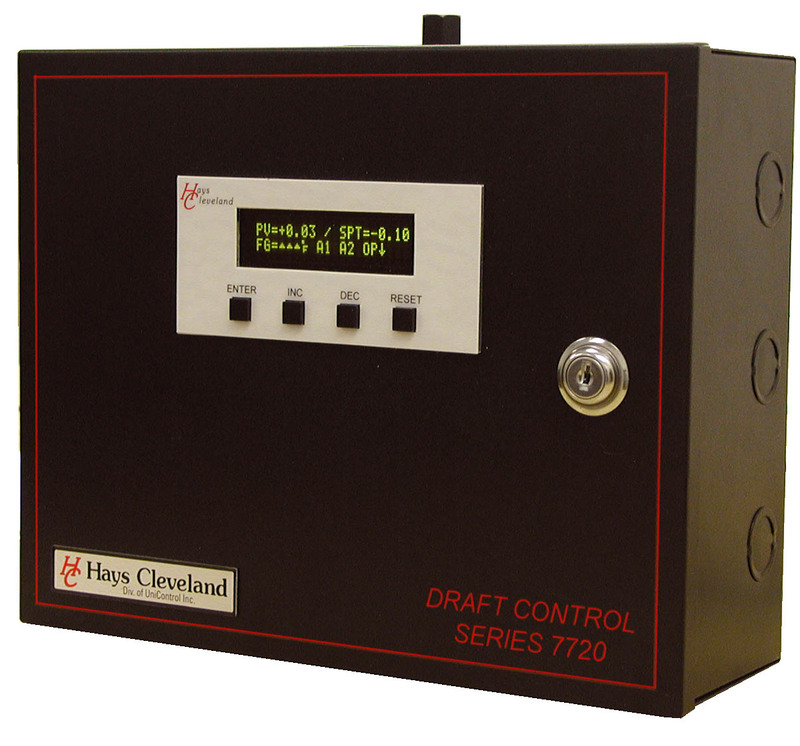 The Hays Cleveland C-07720 Draft Control System is a state of the art product that combines, in one package, all the components of draft control, flue gas monitoring and safety: • High performance microprocessor for accurate draft control. • Draft sensor (No external transmitter is required.) • Draft range signal for monitoring. • Electronic draft reading. • Flue gas temperature transmitter and reading. • Flue gas temperature alarm. • Low draft or high pressure cutoff switch. Combines six control & monitoring functions. Saves fuel and improves safety. ISA Sequence M FGT alarm. Integral lowdraft/high pressure cutoff switch. Economical: long-term returns on low initial investment. Replaces Series 7710 & DCR controllers & others. DEP, CUL & UL Approvals. Field Configurable for all control & monitoring functions. Held in conjunction with the ASHRAE 2016 Winter Conference at the Orlando Hilton, the 2016 AHR Expo held at the Orange County Convention Center will have 60,000 HVACR Professionals Under One Roof! Posted in Manufacturer News & Information	| Tagged ATH, Cleaver-Brooks, Cleaver-Brooks Boiler, Hays Cleveland, Paul Mueller, RBI, Trade Show, Training, Wilo	| Comments Off on Are You Going to the 2016 AHR Expo HVACR Trade Show?